Whether it is a platform for news, a sales channel or an opportunity to directly communicate with your stakeholders, social engagement is a key element in a modern marketer's arsenal. For some marketing professionals, it might be hard to imagine a time when brands couldn't rely on social channels to communicate with their customers, but the opportunities Facebook, Twitter and YouTube offer still really excite me. The reality is that - alongside big data - social, hand-in-hand with mobile, has completely opened up the marketing industry. Just a relatively short time ago, despite a CMO's best efforts, a significant proportion of the public remained out of reach. Now, a marketing team can not only engage with millions of potential customers and gauge interest in new products or services, but also communicate with them one-to-one, providing them with a personalised experience. Social engagement between brand and customer isn't a one-way street with only the brand reaping the reward. Such is the impact of social media and the role it plays in our everyday life, customers expect to be able to engage with brands across digital channels - to compliment, complain, stay up-to-date with new products, receive discounts and, importantly, receive the same personal service they would experience face-to-face. By encouraging customers to talk about their experience by "checking in", "liking", "sharing" and reviewing, a brand is actively engaging with the consumer, and can reward them with exclusive offers, discounts and recommendations. In doing this, the customer is likely to have a much better experience, resulting in a willingness to buy, reluctance to switch and likelihood to recommend the brand to friends, family and other social users. In case we needed any further proof of the value of social, Adobe recently conducted its first "Social Media Intelligence" report, revealing that Facebook Ad ROI is up 58% and its click-through rate up 275%, experiencing a strong growth and revenue per visitor. Reports also showed that Twitter revenue per visitor is up 300%. The results show that social media is rapidly maturing as a marketing channel, with consumers now using it much more in their purchasing process. Heading into the critical holiday shopping season, it is likely that social media will take a much bigger share of marketing investments than it did last year, and this trend will accelerate into 2014 and beyond. This outlines the impact of earned, owned and paid social; how businesses can build customer loyalty and achieve results using channels that are convenient to their customers. With the aforementioned benefits in mind, I find it staggering that some organisations are still holding back. For those brands reluctant to dip their toe in the social waters, it's likely they'll be left at the shore wondering what went wrong. A social-media marketing campaign might seem like a daunting and expensive task, but, with the right tools in place, it needn't be either. Thanks to comprehensive social-media solutions, marketers can now access real-time data at the touch of a button and gain detailed insights into whether a social campaign is working, driving traffic to your site and attracting the right customers. Through consolidating social into one core platform easily deployed across multiple areas, big brands can now gain real social control. One organisation that is benefiting from this social consolidation is a leading brand in the motoring industry. 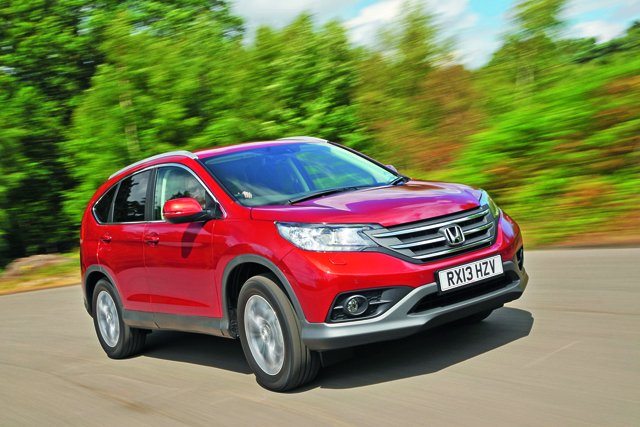 Honda Europe currently operates in 29 markets, each with its own sales and marketing team. Until recently, teams within each market managed their social media independently, without much thought being given to other social initiatives across Europe. However, Honda soon realised its social media needed to be integrated into a more aligned effort. It could use its global resources while co-ordinating social initiatives for its distinct audiences across the region. Honda's challenge was to centralise social-media control while still enhancing local creativity. It also wanted to increase visibility in social conversations and shift the focus for social-media marketers from tactics to a well-executed strategy. To achieve this, Honda recruited the help of the Adobe Marketing Cloud and its six solutions, including Adobe Social and Adobe Analytics. Honda used Adobe Social to enforce brand governance, reduce costs and co-ordinate its marketing campaigns through one social-media-management platform. The once-sporadic social system is now all under one roof, allowing Honda to drive awareness of its diverse and popular product lines across communities. This ensures brand consistency and global campaign co-ordination throughout Europe, rather than each market managing social media with relative autonomy. "What we want to do is build once and use many times," says Simon Nicholson, social-media manager at Honda Europe. "Just in the case of our Facebook app, we could be saving thousands of euros each time a new country uses it". Adobe Social has made it easier for Honda to target specific audiences by language, geography and psychographic data to help local marketers reach fans and followers with the personalised content that resonates with their product and local interests. This way, Honda Europe's digital marketing team can quickly provide the holistic insights needed to drive social-marketing strategy across the region, while access to country-specific data will help local European sales and marketing teams develop specific campaigns. Describing how using Adobe made efficient use of its resources and accelerated the delivery of detail about new Honda products and services, Nicholson says: "Adobe Marketing Cloud brings tremendous efficiencies to our processes and allows marketers to concentrate on customer interactions." It is these social interactions that will be valued by both local and global customers. In Spain, Honda tripled its fan base for its cars. In France, 200,000 "likes" from bikers have made Honda Moto France the country's biggest motorcycle community, while in the UK, 180,000 new fans rallied around the Honda Civic Type R.
Now, Honda has enhanced insight into social communities, helping its marketers drive revenue by being responsive to individual as well as regional customer needs. There is one, centralised social platform, eliminating redundant work and app development, saving money and time and empowering company managers to spend less time processing data. 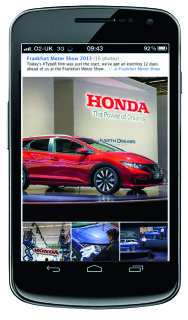 Using Adobe to help revamp its social-media management has enabled Honda to offer a more personalised and targeted experience for European audiences across all channels; certainly evidence of a brand getting maximum value from social media and delivering a first-class service customers will remember. "What we want to do in Europe is build once and use many times. Just in the case of our Facebook app, we could be saving thousands of euros each time a new country uses the app"